Our UV sock protects your jib when it’s rolled on the forestay. Strong and lightweight Sunbrella® material resists ultraviolet, mildew, and water. 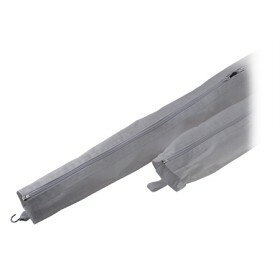 Two heavy-duty zippers run the length of the cover for easy on/off. Grey.